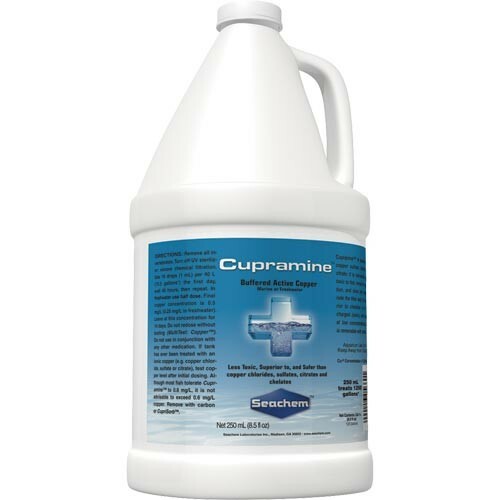 Copper treatment is a very effective way to rid and prevent Marine Ich. In a Fish Only system you can dose the display tank with it, but do not expect to ever keep a snail, shrimp, coral, anemone, or anything else BUT fish. This is one good reason a quarantine tank is a must for anyone who wants to have corals and it is not hard at all. 1. Take any sponges incorporated with your planned filtration and place them in a clean part of your sump. This will build beneficial bacteria while reducing the gunk buildup so you can use your quarantine tank within a couple weeks rather than making it go through a cycle for longer on its own. 2. 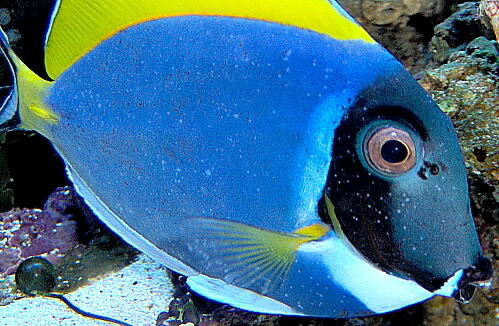 Fill the tank with saltwater and allow it to get to temperature. 3. Install the cycled sponges from your sump into their locations on your QT filtration. 4. After you have fully researched what fish you are about to purchase (or if you are treating a fish of your own) you can now buy and drip acclimate them into the quarantine tank. 5. After a few hours you can try to feed the fish, but do allow the fish at least 24 hours to fully acclimate before you start the procedures ahead. Observe during this time to make sure they take to the water well. 6. After the fish is fully acclimated it is a good idea to medicate with Prazipro, which kills worms and flukes. This medication takes about 5 days. 7. Replace half of your total water volume. 8. Begin your copper treatment. Refer to the instruction manual in or on the package for proper dosing. Refer to the tests instruction manual for proper testing. I cannot stress this step enough. Your fish will die if you use too much and it won’t work if you don’t use enough. 9. Observe the health of the fish during the duration of the medication period. 10. Prazipro can be dosed again to get the remainder of worms and flukes that may have been in egg form during the first treatment. Broad spectrum antibiotics can also be used to treat fin rot or cloudy eyes. 12. After the time frame of which THE INSTRUCTIONS STATE is over you can start the copper removal process also found in the medication’s included manual. 13. If all went well with your copper treatment you should still observe them in QT for two weeks just to be safe. Test for ammonia (during the whole process) to make sure the water is clean. 14. 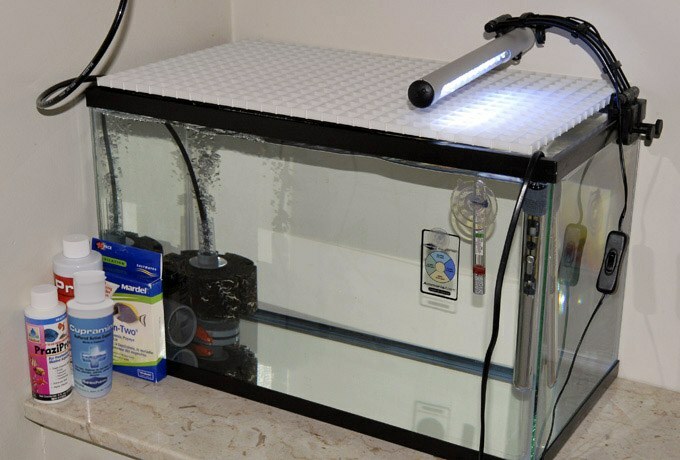 After observation and your fish is in tip-top shape it can be drip acclimated in a container. Never pour the water from your quarantine tank into your display tank or you could kill off your invertebrates. Keep a close eye on the fish for a while to make sure he gets along with his new tank mates but if you did your research, treated it properly, and feed them all right it will be smooth sailing! Always test the water daily for salinity, pH, ammonia, and copper levels. Install a small Auto Top Off or top your water off manually every day. Never save dirty quarantine water. Most importantly make sure you plan your procedure before you start. If you need help you can post your questions in the (FISH FORUM).